In recent years, more individuals and families in the United States are becoming conscious of the food they are eating – and, they’re also taking greater responsibility for their health and nutrition. But, when it comes to making nutritious choices on a consistent basis, there are inevitably a few roadblocks that enter into the equation. Previous studies from the Food Marketing Institute have indicated that while Americans are starting to take charge of our food choices, convenience continues to be a driving force in choosing what to eat. It’s understandable. Juggling family, work and social lives is no easy task. But, planning ahead always helps. It’s when we are able to anticipate roadblocks and plan in advance that eating well becomes less of a struggle and more of a habit. 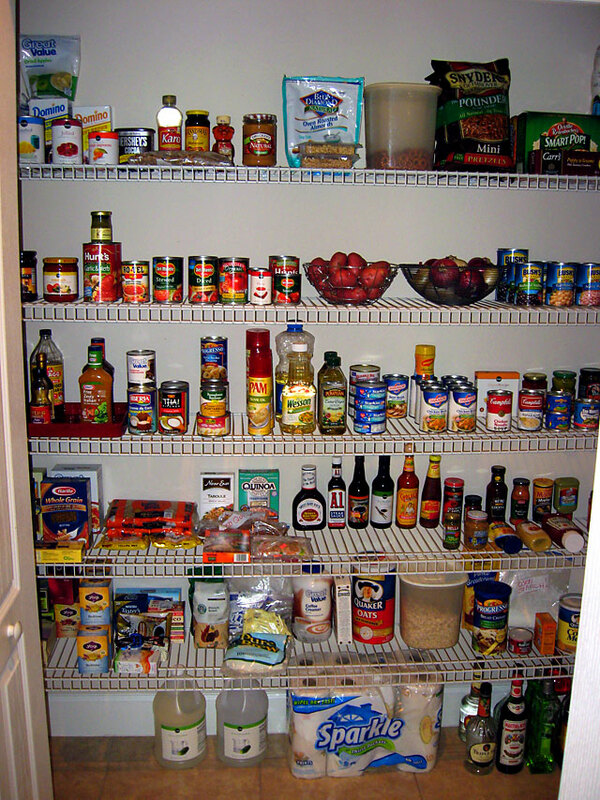 To offset the struggle we have during moments of time-constrained weakness, I start by recommending a well-stocked pantry. If you always keep a few good quality, nutritious ingredients in your household, you will likely cook with them, and therefore, likely eat and enjoy the finished product. Since canned tomatoes are a precious source of nutrition, are ready-to use, and are not easily perishable, they are a superstar ingredient in my household for making dinners in a pinch. Canned tomatoes are easily incorporated into a variety of soups, stews, casseroles and sauces while saving time and boosting the meal’s nutritional profile. When making a tomato-based soup or stew, it’s a great idea to prepare a double-batch at the beginning of the week so you can have a warm meal on hand for days ahead. You can also freeze leftovers in individual containers for quick and easy use throughout the week. When you have these few pantry staples ready-to-use, you will always have a delicious and healthy meal at your fingertips, such as this tomato-based stew. For such a simple recipe, this fiber-rich meal is perfect for filling up even the heartiest of appetites. It’s packed with nutrition, loaded with flavor, and makes for a wonderfully satisfying lunch or dinner later in the week. In a large saucepan, sauté onion and garlic in oil until tender, but not browned. Add lentils and barley, and cook for 3 minutes longer, stirring occasionally. Stir in the tomatoes, corn, water, broth, cumin, oregano, cayenne and bay leaf. Bring to a boil. Reduce heat. Cover and simmer for 20 minutes, stirring occasionally. 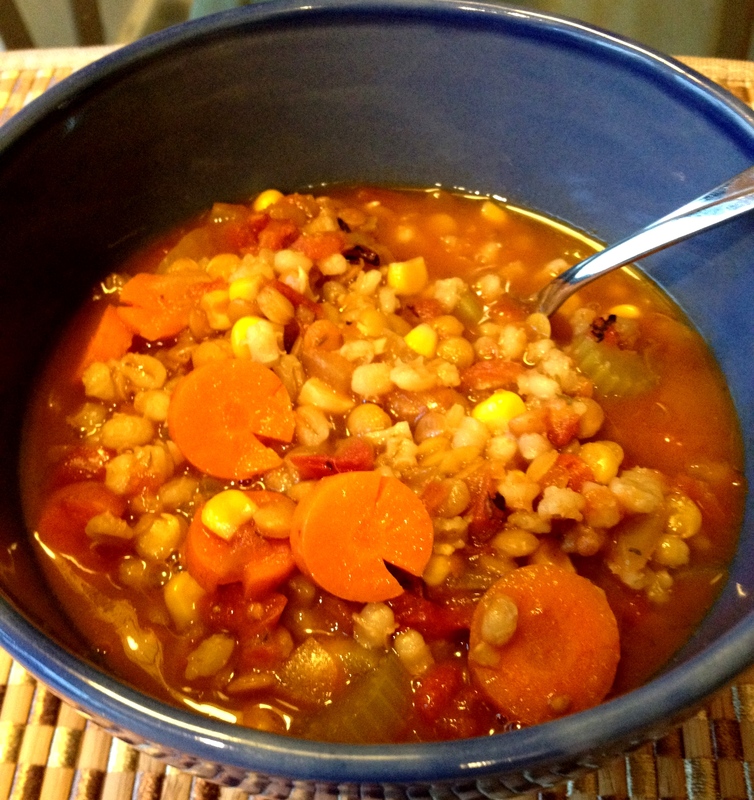 Add soy sauce, carrots and celery, and allow to simmer for an additional 20-30 minutes, or until lentils and barley are tender.